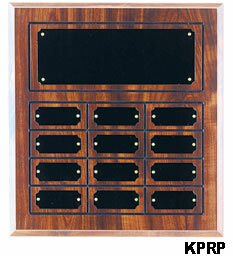 KPRP18 10 1/2" x 13"
KPCP18 10 1/2" x 13"
Prices include engraving for main plate. 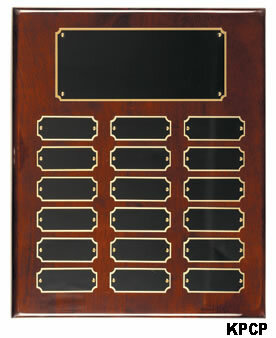 *The Perpetual Plate Engraving Package offers a method for providing engraving service for your plaque updates. It supplies, postage paid, engraved replacement plates as required. Just supply, by Fax or E-mail, the data to be engraved. Maximum of 2 lines per plate. The font style and size will be maintained for each plate.